Obituary for Alberta Ringer | House of Wheat Funeral Home, Inc.
RINGER, Alberta, age 97, born March 16, 1921 in Dayton, Ohio, passed away peacefully January 30, 2019 at Shiloh Spring Care Center. Alberta was a member of Mt. Calvary Missionary Baptist Church and worked at Good Samaritan Hospital for 25 years. Preceded in death by her loving husband, Garfield Ringer, Jr.; children, Barbara, Paul and Lavern Ringer, Shirley Thompson; siblings, George Jr. and Sadie Williams. 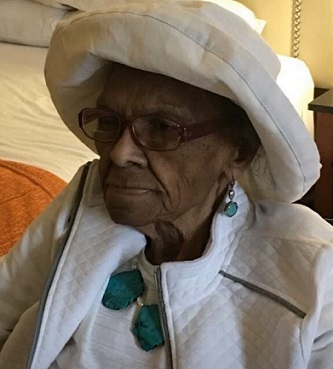 She leaves to cherish her memory: daughters, Janet Smith (Ezell), Jacqueline McDonald; granddaughters, Carmen Smith-Ajayi (Dare), Renee Ringer; son-in-law, Roger Thompson; a host of great grandchildren and great-great grandchildren. Service will be held 10:30 am Wednesday, February 6, 2019 at Mt. Calvary M. B. Church, 3375 W. Siebenthaler Ave. Visitation 9 am at which time family will receive friends. Interment Dayton National Cemetery. The family would like to thank the nursing staff at Ohio's Hospice of Dayton for their care and compassion. Arrangements entrusted to House of Wheat Funeral Home, Inc.